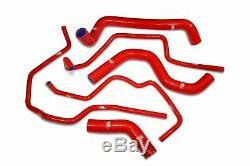 Tri-14 for triumph street triple 765 s / r / rs 17> 18 samco hoses & samco clips. This product sheet is originally written in English. Please find below an automatic translation into French. If you have questions please contact us. Tri-14 fit triumph street triple 765 s / r / rs 17> 18 pipe clips & samco samco. Tri-14 fit triumph street triple 765 s / r / rs 17> 18 samco silicone rad pipes & samco clips - contains 6 pipes & samco clips - possible sown colors: black / blue / red. You buy a samco refrigerant. Hose kit for the next bike. Possible colors stocked are not all in stock at any time, so urgent please contact us before ordering. This kit is available in other colors as shown below. Color options: blue / red / light green / yellow / purple / black /. Orange / British racing green. High-end color options: ice white / silver metallic / pink / viper red & classic black (available as alternative ads). Silver / Samco Blaze / Urban Camo / Solar Camo Orange / Green Ninja Camo / Lightning Blue Camo (available as alternative ads). Standard color options are on the advertised price, for the premium color options shown please see alternative ads, please advise at the time of payment what color is required if not advised, we will send this which is available. We can also supply a samco stainless steel pipe clip kit with your purchase, these are 100% stainless steel. Clamps are made entirely from 18/8 w5 stainless steel v4a, including the screw, making them ideal for motorcycle applications of all time. The pliers have fully rounded edges to give the best possible protection to the silicone hoses and have a wide band for a higher clamping force (12-20mm are 9mm wide and 22mm up are 12mm wide) secured with a hexagonal head 7mm. Please note handling times are shown for stocked color only, other choices are special orders normally. Please note samco deadlines, we strive to provide the kit packed on payment however sometimes we will be issued stocks, if urgent please contact us before purchase to avoid any disappointment, special order kits not available will need to be ordered, it takes about 4-5 weeks which is standard for any samco supplier, please take note of this prerequisite to purchase. As used by many superbike teams including mss kawasaki & hm plant honda, samcosport offers a wide range of race-tested direct replacement silicone hose kits offering many advantages over factory-installed hoses. Available for a wide range of motorcycles in both motor sport and fast road use, motorcycle samcosport hoses offer longer life and extreme durability at high temperature and pressure seen on well tuned machines. New drop in delivery charges in Europe - please inform us. Many thanks for your interest. For more details on our return policy please click here. Please do not hesitate to contact us to discuss anything you might have a question about. We are proud of quality service and we are happy to answer any concerns. Contact us via the debay or messaging system. Add our shop to your favorites & receive the electronic newsletter on new items & special offers. The item "tri-triumph street triple 765 s / r / rs 1718 samco hoses & samco clips" is on sale since Wednesday, February 14, 2018. It is in the category "auto, motorcycle parts, accessories \ motorcycle parts" spare parts \ engine cooling \ tubes, pipes ". The seller is "mjd128" and is located in leatherhead. This item can be delivered anywhere in the world.